Abu Dhabi: A British student charged with posing as an academic researcher in order to spy for a foreign government was sentenced to life imprisonment today, the Abu Dhabi Federal Court of Appeals heard. Matthew Hedges, 31, will also be deported after serving his term, the court ruled. The court ordered all his research documents and computers be confiscated and that he pay legal fees. The ruling can be appealed before the Federal Supreme Court. Hedges is said to have been studying for a PhD at Durham University. He was arrested at Dubai airport on May 5. Three weeks ago, Hedges was bailed out but on Wednesday, he showed up at the court. Hedges was first reported to prosecutors after an Emirati citizen told them the man had been asking for sensitive information. Prosecutors later said that he had been attempting to secure confidential information to potentially pass to a foreign agency. Last month, UAE Attorney General Dr Hamad Al Shamsi ordered an urgent criminal trial following reports from an Emirati about the suspicious behaviour of a foreign national. Dr Hamad said that during questioning, Hedges admitted to the claims against him, which were “identical to evidence and information gained from his own electronic devices and investigations conducted by the UAE’s security agencies”. He went on to say that the accused has been provided a lawyer by the state and has received medical care. He also said a family member and embassy staff have been allowed to visit him. Al Shamsi added Hedges had been attempting during his trip to secure confidential information to potentially pass to a foreign agency. A subsequent investigation by Public Prosecution revealed that the man had been attempting to procure confidential information about the UAE to potentially pass on to a foreign agency. Hedges has had two visits from British Foreign Office officials who have taken up his case and offered support to the family. In Wednesday’s court session, Hedges was accompanied by his wife, Daniela Tejada, and a representative from the British Embassy in Abu Dhabi. Dr Hamad Saif Al Shamsi, Attorney General of the United Arab Emirates, said in a statement that the Abu Dhabi Federal Appeals Court sentenced the defendant Matthew Hedges (a British national, 31 years old), to life imprisonment after the defendant confessed to the court of the charges brought against him by the prosecution on the basis of legal evidence resulting from the judicial investigation against him, in which he admitted in detail of the crimes committed. Full guarantee of his rights was ensured during the investigations in accordance with the UAE Constitution and the laws of the state. Al Shamsi said the defendant showed up in the court in the presence of representatives of the British embassy during the hearings. The defendant was tried ensuring fair, impartial and transparent trial, according to the UAE Constitution and laws. The Attorney General said the verdict issued on Wednesday is not a final judgment, as the defendant could appeal against it before the Federal Supreme Court. 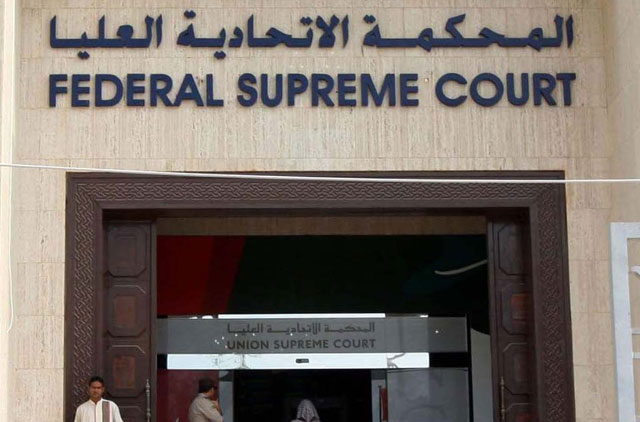 The appeal means a re-trial, including the examination of evidence against him and all aspects of his defense and hearing him and his lawyers, one of the most important guarantees for fair trials in the United Arab Emirates in accordance with its Constitution and laws.